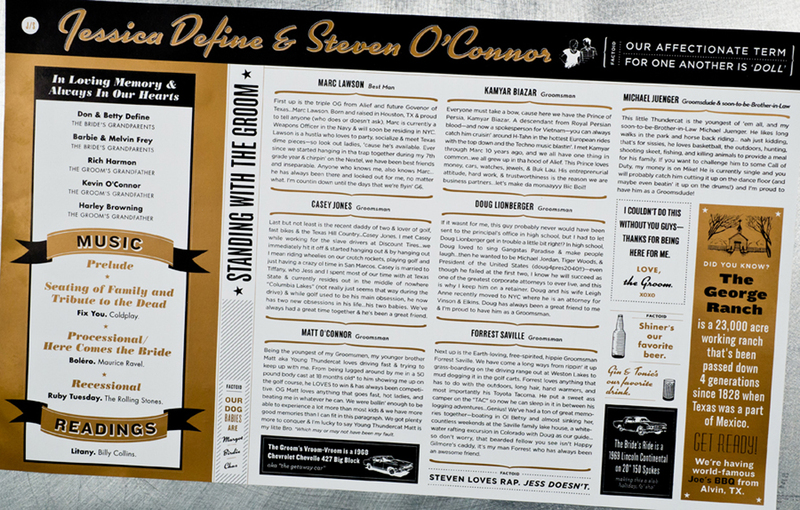 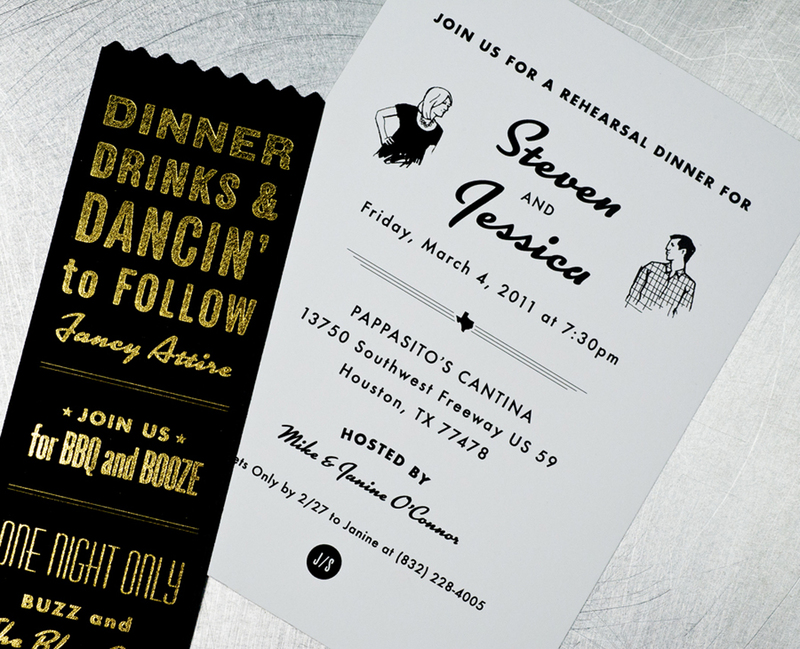 Here’s a snazzy custom wedding invite set designed by Product Superior for Houston designer, blogger, and bride Jessica Define. 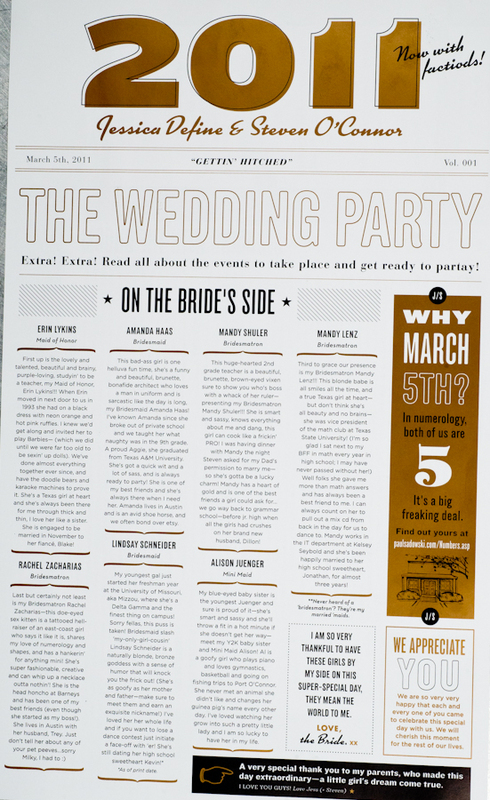 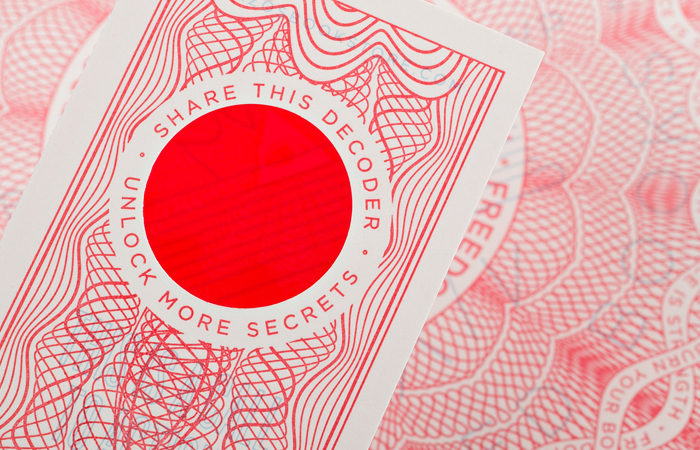 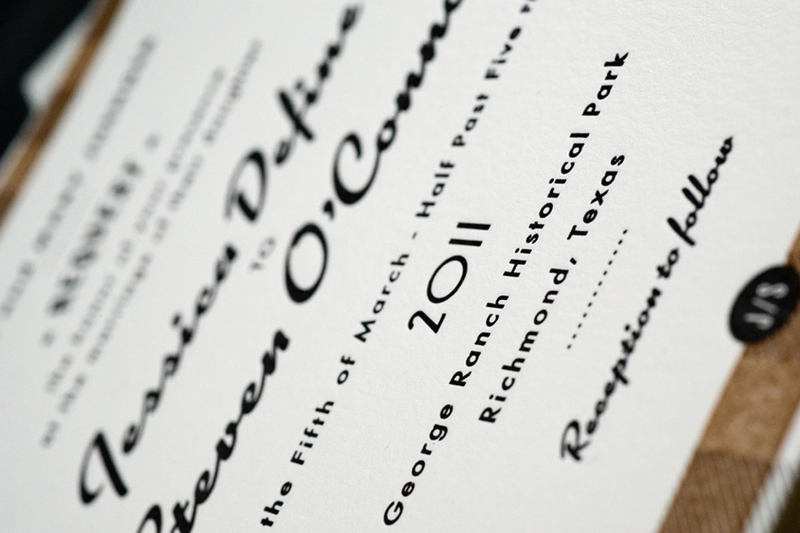 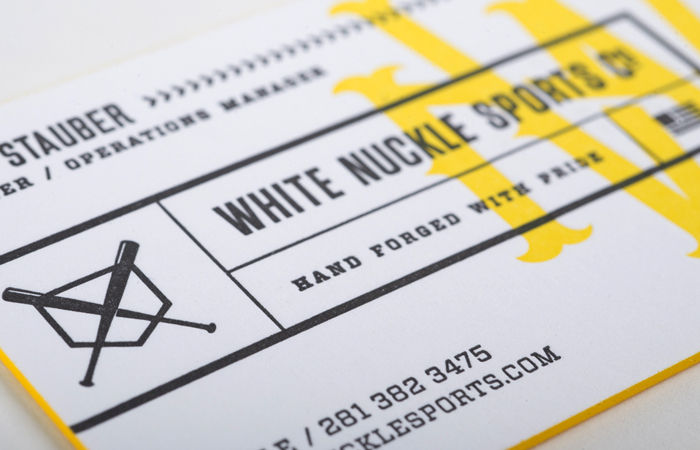 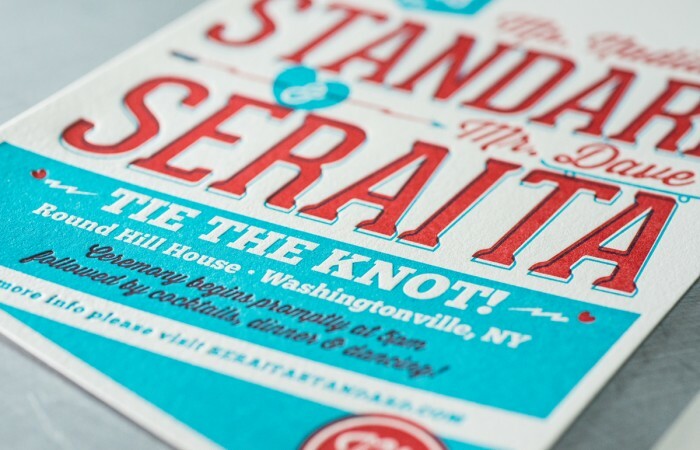 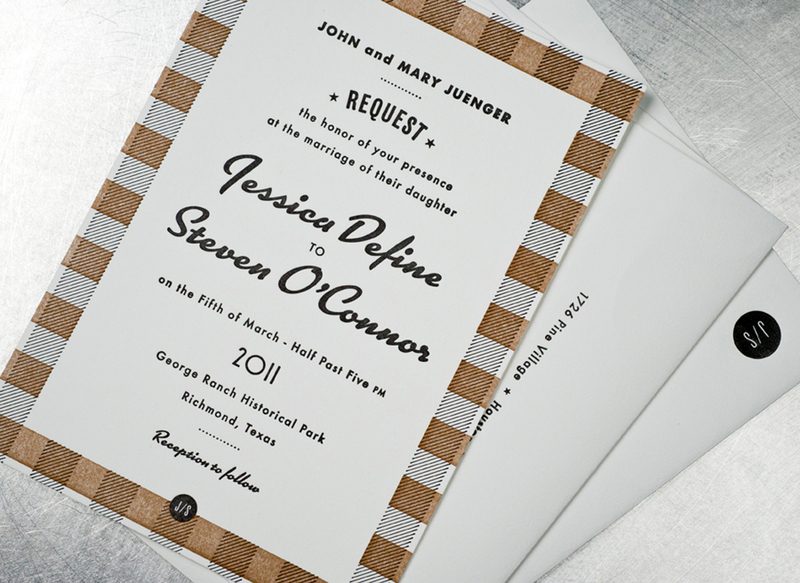 We were proud to handle the letterpress printed invites and envelopes. 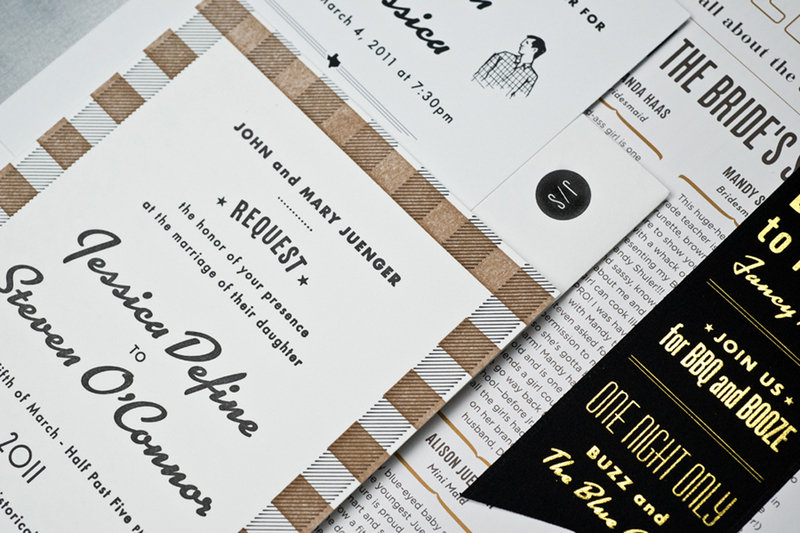 Lettra 110# with matching envelopes and metallic ink on our end combined with some custom made ribbons and offset printed pieces to round out the set.